Bill O’Reilly, is the host of The O’Reilly Factor on the Fox News Channel, the highest rated cable news show for years according to Fox News. O’Reilly was the host of a nationally syndicated radio show, his columns are nationally published and he has had several New York Times Top 10 best sellers. O’Reilly preaches about the value of religion, family values, the decline of morality, truth, justice and the American way. He has a holier-than-thou personality that appears to be in direct confliction of his past history of exaggerating the truth and at times what could be called outright lies. To Bill O’Reilly his is the only truth that matters, at least his version of the truth. He has a penchant for never allowing the facts to ruin a good story. His critics have called him at times a bully, a hateful, quick-tempered, angry man who spreads lies and disinformation, a judgmental hypocrite who is interested only in his own opinions and has a track record of lying about his own accomplishments. He has also been called a pervert and a phone freak. When NBC’s Brian Williams got caught in a lie, Williams eventually admitted he lied. When Bill O’Reilly gets caught in a lie he doesn’t admit it. Instead he attacks those who call him out usually calling them left-wing conspirators, zealots, jealous and whatever else he can throw at them, in a shallow attempt to divert the attention away from himself. Truth is, sometimes O’Reilly’s version of events seem to conflict with others who were at the same place at the same time and have totally different recollections of the same event. Exactly Bill, you were one-hundred percent correct on that. 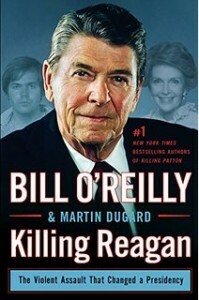 Was O’Reilly a prevaricator on that? Living out of the Sheraton Hotel in Buenos Aires while covering street protests must have been a tough assignment. But how is a street protest a combat situation or zone? That wasn’t the only comment O’Reilly has made over the years about the Falklands War. Fact was no American reporter ever made it into the Falklands, except for NBC reporter Robin Lloyd who did manage to get to the islands for one day, but that was before the fighting started. Again with the Falklands. O’Reilly was not in the Falklands. O’Reilly’s colleagues at CBS at the time, who were in Buenos Aires with him, not in the Falklands, have stated that O’Reilly’s account of a cameraman being injured did not happen. CNN interviewed seven people who were there for CBS, and none of them recalled anyone from the network being injured and no injury reports were ever filed. In the past, O’Reilly, commenting on his teaching experience stated that he taught history in what was “a relatively poor school” in “the shabby, tough Florida town of Opa-Locka.” In reality O’Reilly taught at Monsignor Edward Pace High, a private prep school that has been called one of the top 50 Catholic high schools in the United States. Nothing like spinning The No Spin Zone. Fabricating lies based on looking at photographs of an incident to purport with a story that you actually witnessed the event, how is that ethical journalism and writing? 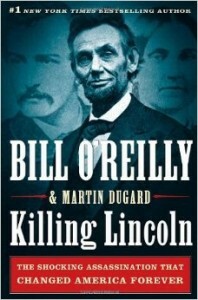 Even O’Reilly’s “Killing” books have caused others to question the facts as written by O’Reilly. Killing Lincoln was banned from the Ford’s Theatre basement museum bookstore because it “suffers from factual errors and a lack of documentation,” according to a study that was conducted by Rae Emerson, deputy superintendent of the Ford’s Theatre National Historic Site. Other Lincoln experts said they found inaccuracies in the book and instances where the book strays from documented history. 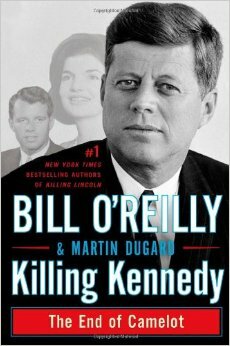 In Killing Kennedy O’Reilly’s 2012 book, he claimed to have been standing outside the Florida home where Lee Harvey Oswald associate George de Mohrenschildt killed himself, hearing the gunshot firsthand. Epstein interviewed De Mohrenschildt on March 29, 1977 the day he committed suicide. 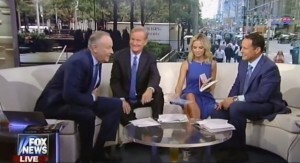 Epstein pointed to audio tapes that indicate that O’Reilly was in Dallas when de Mohrenschildt committed suicide, including a phone call where Gaeton Fonzi, an investigator with the U.S House of Representatives Committee on Assassinations informs O’Reilly of the suicide. CNN later obtained copies of the recordings from Fonzi’s widow and those recordings shed further doubt on O’Reilly’s account. On those recordings you can plainly hear Gaeton Fonzi telling O’Reilly that de Mohrenschildt committed suicide with a gun and O’Reilly states he would be on the way down. BO- Look, something definitely did happen. GF- Yeah, I got it. GF- He [de Mohrenschildt] committed suicide up here in – where I was trying to locate him. BO- OK, where is that? BO- OK, he committed suicide, he’s dead? GF- Late this afternoon. I don’t know. GF- I think, I think he said he shot himself. BO- OK, ah, Jesus Christ. GF- Isn’t that something? Jesus. BO- Now we gotta get this guy Epstein. I’m coming down there tomorrow, I’m coming to Florida. We gotta get this guy [Epstein]. He knows what happened. GF- Well, I’m gonna be up there probably trying to secure the papers. BO- Yeah, OK. Alright, I’m gonna get in there tomorrow. I’m gonna get a car. OK, now OK I’m gonna try to get a night flight out of here. If I can. But I might have to go tomorrow morning. Let me see. O’Reilly was a reporter for WFAA-TV in Dallas, Texas in March 1977. Had he been at the scene of the suicide, why didn’t he do a story on that? It was big news. And if he was there as he has stated on numerous occasions over the years, wouldn’t he have been mentioned in the police report? Look at it this way. You are standing on the other side of a door, you hear a gunshot from inside the house and what do you do? Nothing, you walk away and forget about it and never contact the police. Way before the tapes surfaced it was evident to me that O’Reilly was never at the scene. Before I wrote this article, I reviewed the Death Investigation Report from the Palm Beach County Sheriff’s Department in Florida on the investigation of George de Mohrenschildt’s death on March 29, 1977. Nowhere in the police is report Bill O’Reilly mentioned. His body was found by his daughter, Alexandra. The only persons present at the residence when the police arrived were Nancy Tilton, Coley Wimbley and Katherine Loomis. The police report does corroborate what Epstein and Fonzi have stated. One person who is completely absent of any mention in the police report is Bill O’Reilly. So how could have O’Reilly been in Texas and Florida at the same time? Answer; he wasn’t at the scene of the suicide. O’Reilly’s attempt to insert himself over the years into a historical event ended up proving he is a documented liar. Bill O’Reilly, like Sean Hannity, have called for sending in American troops overseas, but neither of them ever served one day in the military. It’s a lot easier to call for sending someone else to do a job you yourself never volunteered to do. As for O’Reilly I believe he was in London during the Vietnam War attending college. As for being quick-tempered, there is no question. We have seen it numerous times on The Factor. When O’Reilly was the host of Inside Edition in the 1990’s, he went into a tirade, yelling and cussing on camera because of a problem with his teleprompter. This incident has been memorialized on YouTube. Apparently his quick temper which switches on and off like a water tap is only one of his many faults. 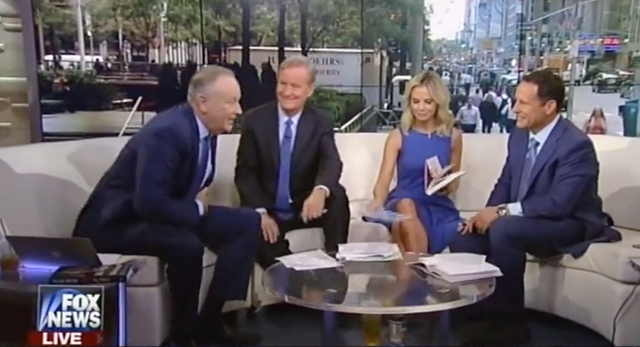 O’Reilly is quick to attack anyone with a vengeance who does not agree with his ideology. He has called guests on his show liars, crackpots and crazy. His guests are sometimes seen from those on the outside looking in as nothing more than punching bags, who are cut off in mid-sentence by their host when they seem to be getting the best of him. Commentary and opinion about the news is not news. It is just what it is, opinion. Shows hosted by Bill O’Reilly, Sean Hannity, Rachel Maddow, Al Sharpton and others are pure entertainment, there to push the ratings to raise revenue for the corporate owners and in effect make more money for themselves. And it doesn’t make a difference if the news is slanted left as with MSNBC or right as with Fox News. Sometimes one has to wonder if there is any truth in the news or any news in the truth, especially when you watch these blabbering idiots twisting the news to fit their own agenda. As a matter of fact, the Pulitzer Prize winning PolitiFact, an independent fact-checking journalism website, found that Fox News was truthful only 18 percent of the time in statements made. I grew up with Walter Cronkite, thirty minutes of news from around the world. Just give me the facts and leave opinion out of it. I am totally capable of determining for myself what I see and hear. There are some good news based programs though and the best of them by far is the investigative news program, CBS’ 60 Minutes. The only show I will not miss every week. It stands out from all the garbage that is on TV. In April of this year while addressing a crowd at a Catholic fundraiser at the Church of Saint Mary, in Long Island, New York, O’Reilly told the crowd, “I want to beat him up,” referring to New York City mayor, Bill de Blasio. Whatever he intended in his mind when making those comments is beside the point. His comments were unprofessional. Comparing the Black Lives Matter group to the KKK who were responsible for the murder and maiming of thousands of black Americans throughout history seems dumb and foolish at best. I don’t agree with BLM. I believe all lives matter and their cause might be better well served if they say that. But this is America and they have the right to say whatever they want and that right I will defend even if I disagree with what they say. So by O’Reilly’s standard the Popes, cardinals, bishops and priests who were in the same soup bowl, shouldn’t they have divorced themselves from the Catholic Church because Catholic priests for decades were molesting young boys? As a former cop how can one assume someone is a criminal because of the way they look? Walking down the street wearing a hoodie, carrying candy and being followed by a wanna-be cop, was no reason for a teenager to end up dead. Just last week O’Reilly showed just how ignorant he is when he got into hot water with the residents of Dearborn, Michigan after a report he aired on The Factor that insinuated that Dearborn was a “Mecca” for Muslims, a city where Muslims control the city council and the chief of police is Muslim. Apparently O’Reilly and the Fox News Channel thought that ridiculing people would be funny; without ever taking into consideration the feelings of other Americans, and its possible consequences in promoting violence against the Muslim community of Dearborn. I am compelled to respond to your piece on Dearborn last night in which you were really spinning the truth. While I understand that segment was intended to be lighter fare, its presentation of false “facts” is dishonest and has unplanned, and very negative, consequences. I understand humor can be a means to offer insight about topics that may be unfamiliar to some of your viewers, but this piece failed to do that, and was shockingly flippant, especially with false references to stoning and honor killings. The lack of sensitivity was compounded by your factual errors, including about such basic information about the makeup of our City Council. We welcome people of all faiths, or no faith, to run and serve in office, two of our seven City Council members are Muslim, and that does not represent a majority, as you wrongly stated. Our police chief is not Muslim, but Christian, and comes from a devout Christian family. Although his religious background, like that of any city employee or elected official, is irrelevant when viewing their professional actions and accomplishments. In the case of our police chief, he has been recognized at the federal level for his community policing initiatives and positive engagement. It would have not been difficult to easily obtain these facts. While I understand that your piece on Dearborn, Michigan on October 5 was meant to be humorous, I did not expect you to completely disregard relevant facts about our community. While this type of reporting may be “funny” to you and your audience, it creates a complete distortion of what we represent and causes serious consequences. I ask you to review your piece and consider the perception of Dearborn and Muslims that a number of your audience members may take from it. Could they infer that Muslims do not embrace our American Constitution and therefore want to establish Sharia Law? It may be of interest that the two people on the City Council who are Muslim are both practicing attorneys who have sworn to uphold the U.S. Constitution and the Constitution of the State of Michigan. And in the entire history of Dearborn, there has never been a discussion about following any other course of law. To imply otherwise about a city in America is ridiculous. I assure you that there is nothing going on in Dearborn that is different than any other community across America. The majority of our citizens who are Muslim engage in all of the activities that make our City a great place to live, work and visit. They do this along with our residents of other faiths and support fundraisers and charities, participate in our Memorial Day Parade, which is the oldest and one of the largest in the State, and are behind other activities that build up our community and strengthen our connections. In Dearborn we use those connections as a foundation for better understanding and beneficial discussions. We have an active interfaith network that is all-inclusive and helps us to understand that a successful community is one that sees value of trust in God and the fostering of spirituality, however individuals define it. In Dearborn, we support the notion that everyone makes their religious decision on their own. I have lived in this community with Muslims all my life. Dearborn has always welcomed people who choose to come here and want to be part of our community. Our whole history as a city, like that of America, is defined by people from a variety of backgrounds and heritages seeking economic and educational opportunities and a good place to raise their families. In the day-to-day life in our community, we are all the same. People live wherever they want throughout the City and engage each other in all different ways, at PTA meetings, soccer fields, neighborhood association committees, garage sales, block parties, and weddings. We share goals and sustain each other. Our standard is we are one community that supports each other and respects each other. Due to your irresponsible characterization, we will now be forced to deal with the immediate emotional responses it will undoubtedly prompt. Moreover, we will have to deal with the long-term impacts this very real and harmful mischaracterization creates for the development and redevelopment of our businesses and neighborhoods. We will continue to be fine if those seeking to promote fear and prejudice will stop falsely misrepresenting Dearborn as a city being held hostage by followers of the Muslim faith. We are, in fact, a diverse community that reflects the true intent and promise of our American democracy. That is the true story here, Mr. O’Reilly. While it may not make for great ratings, it certainly does make for an incredibly great city to live in, work in, to do business in, and to raise a family. What more can I say on that, except Mr. Mayor you put Bill O’Reilly right in his place. It was nothing short of irresponsible journalism, false reporting and showed that once again the “No Spin Zone,” is a fallacy. Fact is O’ Reilly, Muslims have saved the lives of countless American Soldiers in Iraq and Afghanistan, but you would not know that unless you were in a combat zone. Muslims serve and have served in the Armed Forces as far back as the Continental Army. Many died in combat wearing the uniforms of the American military, were decorated for bravery and are buried in national cemeteries. And yes Fox News Channel, not all Muslims are Islamic Extremists. It appears that Bill O’Reilly as with some others at the FOX News Channel have preconceived notions about people who are different than themselves; whether those differences are racial, religious or of different ethnic backgrounds.